An upper floor apartment in a small block, located in an up-market, gated community, a pleasant stroll from Cabarete's vibrant town and beach life. Set among tropical gardens with a communal pool. Set away from the hustle of Cabarete’s vibrant town and beach life, yet still within an easy, pleasant walking distance, this small development of apartments is situated in an up-market gated community with full security. 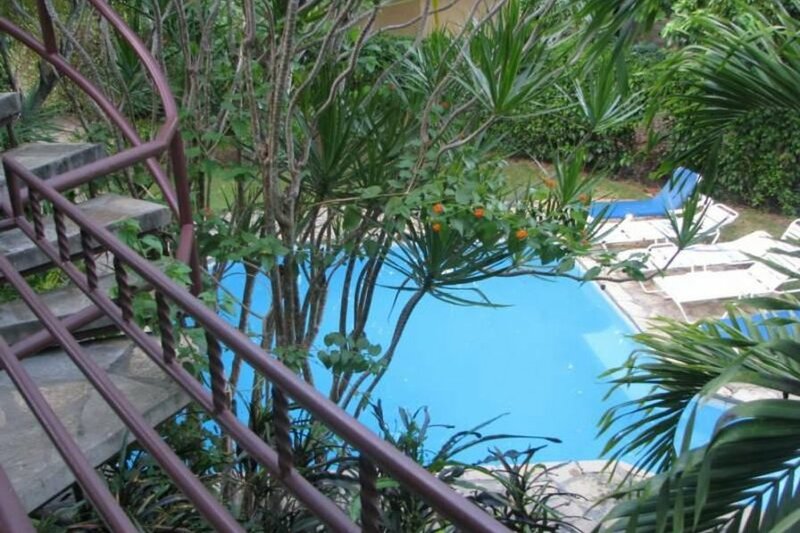 The apartments are situated in delightful tropical gardens, which overlook Cabarete’s famous lagoon. A wide variety of beautiful water birds are frequent visitors. There is a communal pool and sun-lounge area for complete relaxation. This one-bedroom apartment is larger than average at about 80 sq. metres (860 sq. feet) and features a private balcony overlooking the gardens. The apartment is fully furnished with cable TV, internet connection, kitchen equipment, bed linen, towels etc. It benefits from on-site night-time security and an electrical back-up system. Cabarete is one of the Dominican Republic North Coast's favourite places - its beach being world renowned for its wind- and kite-surfing, yet equally appealing to those who just want to relax in the sun and enjoy the cosmopolitan atmosphere. Also on the beach and in town are a wide variety of restaurants, shops and bars to cater for all tastes and budgets. At the rear of the town is the El Choco national park, with its lagoon, wooded walks and caves.